So Taylor Swift wakes up one morning and decides, "I think I wanna be a pop star." Boom...The game has changed. Well I don't know if it will work for her, but whatever...I'm still going to put on my spandex tri-shorts and cycling jersey and Spin®. Lot's of new music in this weeks Strength ride, I hope you enjoy but Spotify users will be a little limited because several of the songs aren't there yet. But before we got to the music, I wanted to take a moment to explain my interpretation of SWITCHBACKS since I reference them so often during SEZ rides. 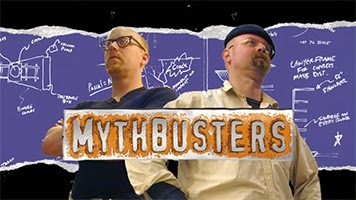 Even if you've never actually watched the show Mythbusters you probably know the premise of the show. Someone states something as factual and these guys go to extreme efforts to either prove or disprove it.